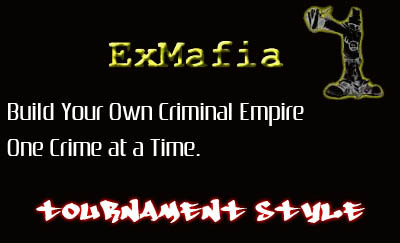 ExMafia is a game based on the criminal underbelly of our society. Compete against other criminals to see who is the most cunning and capable of ruling the country, and in the end killing everyone else. Form your own gang, or join someone else's and show what you are made of!